Schouten uses palm oil in some products. 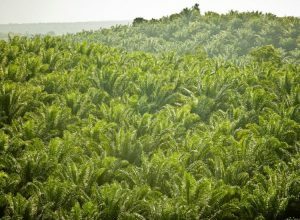 We believe it is important that this palm oil is produced sustainably. 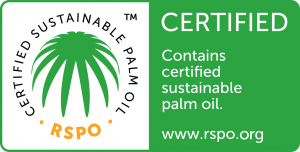 That is why we are member of the RSPO and use palm oil from an RSPO-certified supplier in the production of our products. Global demand for palm oil is rising. On the one hand, this can be attributed to rising prosperity levels in countries such as China and India and, on the other, because of the increasing popularity of palm oil as raw material for biofuels. This leads to an increase in the overall oil palm area in the production countries. There is a concern that in certain cases this will be at the expense of the tropical rain forest. Other concerns raised pertain to labour relations at the plantations and the use of pesticides. The Dutch oil-processing industry is committed to making the global palm oil production more sustainable. With a view to the high economic and dietary importance of this trade, RSPO seeks cooperation with local and international parties in a Round Table on sustainable palm oil. By entering into international agreements, the fats and oils industry makes consciously choices for pursuing a production method that ultimately will be fully sustainable. The international platform of social organisations, industry and the retail sector, aiming to make global palm oil production sustainable, is called the ‘Roundtable on Sustainable Palm Oil’ (RSPO). Criteria have been formulated by this platform that guarantee due care and attention for humans, animals and the environment and which, in addition to the social and ecological aspect, also take into account the economic aspects. The World Wide Fund for Nature, Oxfam Novib and various local social organisations form part of the Round Table and act as discussion partners in improving the production circumstances, the certification thereof and safeguarding the different trade flows through the chain.